Despite the warm summer sun and copious amounts of blue sky, it was one of the darkest hours in my life. 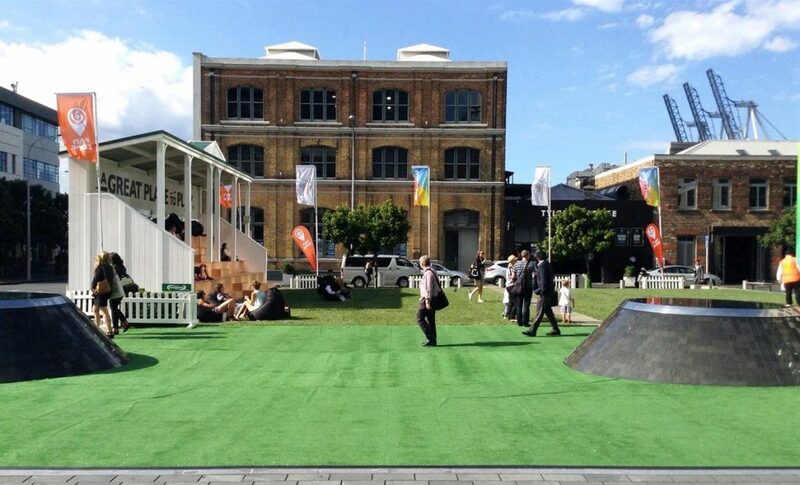 I called Carlos for a meeting; we met at the fanzone cricket stand at the Britomart Lawn. I sat there staring at big screen of the live cricket game. My heart sank as I had to tell him the news. I wanted to shut down our operation. Our third business partner had not invest his promised share. In fact, the share that we invested was put into a bank account, and we could not access the full funds. To make matters worse, this partner was one of my best friends since I moved to New Zealand; I only had 2 guests at my wedding and he was one of them. So this this was more than a business falling out, it was personal fallout of the highest magnitude. With 20/20 hindsight, we should have seen this coming; but it was difficult see behind the veil of friendship. Both Carlos and I acquiesced to his decisions – such as not creating an official business charter and deciding to make lagers the focus of brewing. But it got increasingly worse; we were based in Auckland and he was out of time. Getting a hold via both email became increasingly difficult. Finally – we found a great spot to open a brew pub, it was pricey but an incredible opportunity. We all agreed that this was the place. We paid council for our permits, and also needed to put a hefty deposit and course pay for equipment and renovations. Then inexplicably, our partner stalled and accused the landlord of bullying us into a contract. Needless to say I was perplexed. When I asked him about our finances, he was very tight lipped and diverted the questioning. It made think he did not invest his share. Communication became more strained, but we eventually found he did not invest his share into the business – he said he was waiting for the ‘right time’ to bring his money overseas. That ‘right timing’ cost a years worth of opportunities. Carlos had quit his job as winemaker to work several part time jobs to support himself until we got the brewery running, which sadly never came. Finally, I got the nerve to get my lawyer involved. At threat of lawsuit, he returned 80% of the money that I had invested – minus the expenses we spent on council costs and a few sundry expenses. I was told this was a great outcome, but it fell like part of my soul had been ripped asunder. I was flooded with sadness at that Cricket World Cup stand at the Britomart. I simply didn’t have the heart to continue. But somehow, someway, we did manage to continue. We decided to take a more unorthodox direction. We gave ourselves a new name. Whereas before wanted to operate on traditional brewpub model, we decided to take our limited capital and operate as Gypsy Brewers. Before we didn’t have a clear goals and cohesiveness, but now we put together a written charter and a vision of what we wanted to the company to be. Most importantly, it left the door open for a new, dynamic partner to join us. In 2016, the 3rd Outlier, Alvin, joined us. And that has made a world of difference. What was the death of a business and a close friendship was start of a new enterprise with fresh energy. I still look back in astonishment in what we overcame; I am truly grateful for all the friends, family and fans who believed in us during our darkest hour. Barbara – My wife and my compass. Steve Ballantyne – Thank you for being the catalyst to inspire this story. Mark Szigetvary – Thank you for your legal advise and practical resolution of our case. My business partners – Thank you both for your faith and passion that has made us who we are.